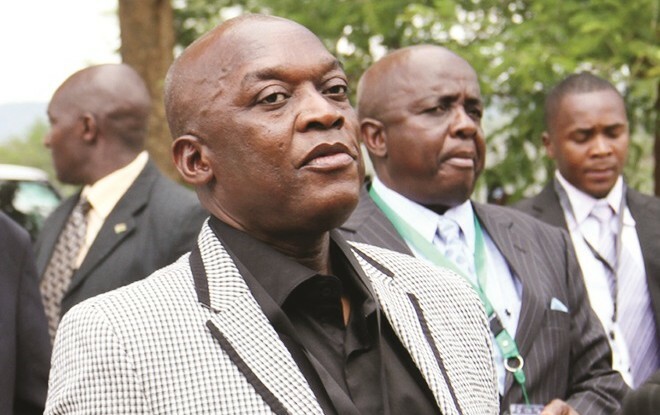 Former Police Commissioner-General Dr Augustine Chihuri has been taken to the High Court for failing to pay a water bill amounting to $44 984. Dr Chihuri consumed water at his Inyika Farm in Shamva, but failed to pay for it. That prompted the Zimbabwe National Water Authority (Zinwa) to sue him at the High Court. Zinwa is also claiming interest plus costs of the suit. Chirenje Legal Practitioners are acting for Zinwa in the matter. Zinwa, a body empowered to administer all water in Zimbabwe, entered into an agreement with the ex-police boss to supply raw water at his farm for a fee. Water was sold and delivered to Inyika Farm on the agreement that Dr Chihuri would pay for it monthly. "In breach of the agreement, the defendant failed and or neglected to make due and punctual payment for all monthly charges. "The cumulative amount due to the plaintiff by the defendant for the water charges is the sum of $44 894,24, which amount is due and payable," reads the plaintiff's declaration. The breach of agreement, according to the water authority, attracts an order for costs at a punitive scale. "The defendant's breach had unnecessarily caused the plaintiff to incur legal costs to recover the amount owing. The defendant must, therefore, pay the plaintiff's costs of suit on an attorney-and-client scale," reads the declaration. Dr Chihuri is yet to respond to the civil claim at the High Court.